Over the period of this article, we will be checking out on how to install the pre rooted XXALJ1 firmware which is nothing but the Jellybean 4.1.1 firmware version in the Samsung Galaxy Note N7100 smart phoblet (phone+tablet). One of the best part of pre rooted firmware is that you need not to have to root differently as it is a pre rooted firmware. 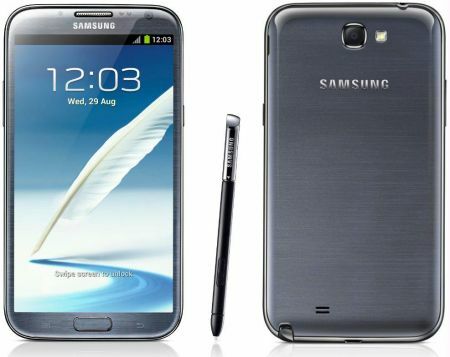 Once you root the Samsung Galaxy Note N7100 device, you can then install the apps which require the root access and many custom ROM firmwares. Sometimes after rooting you may require to clear / wipe all the data present in your phone so as to get away with the force close errors.So before start to proceed we recommends you to take backup of all your precious data. IMPORTANT : Don’t create a backup of all the data with the help of ROM Manager app as it may potentially brick the device. After creating backup download and install Samsung USB Drivers and latest version of KIES from here to your computer as these tools will be required for you to root the device. Enable the USB Debugging in your Samsung Galaxy Note N7100 device by following the path “Settings > Applications > Development > USB debugging”. Make sure that you have left the minimum battery level of 40% to avoid your device getting turned OFF while applying this firmware update. So, once you have done all the above mentioned instructions you can now head over to the next step where we summed up a detailed tutorial on how to apply this firmware update in your Samsung Galaxy Note N7100 android smartphone. First download the Pre Rooted XXALJI Jellybean 4.1.1 firmware package from here to your computer along with Odin flash tool. Extract both of these packages in your computer. After that open odin in your computer and turn OFF your Galaxy Note 2 device so that it can be entered in the Download mode. Press the Volume Down Key + OK button, and holding both these buttons simultaneously press the Power Button also so, that the device can be enter into the download mode. A warning message will be displayed when you need to press the Volume Up key to continue entering the download mode. Once you connect your device, you will see that the ID: COM section will turn Yellow or Bluish green depending upon the Odin version indicating that all the required drivers are installed successfully and you are ready to proceed with the next step. Click on “PDA” to select “N7000XXLRQ_N7000DBTLRQ_N7000XXLRK_HOME.tar.md5” and then click on Start to start the process of firmware update for updating the firmware. Once the firmware is updated successfully, the device will get rebooted and once you see the home screen, you can then disconnect your Galaxy Note 2 device. It will take around 4-5 minutes for applying the update. Please make a note that it may take numerous time than the expected time for first reboot. NOTE : Suppose if your device refuses to turn ON or if it gets stuck on the Samsung Logo then you need to long press the power button to turn OFF the same or re insert the battery to start the process from beginning. Congratulations! now you have successfully updated as well as rooted your Samsung Galaxy Note II N7100 device. If you want to check whether your device is rooted or not, then you can download the “Root Checker” app from the Google Play Store.